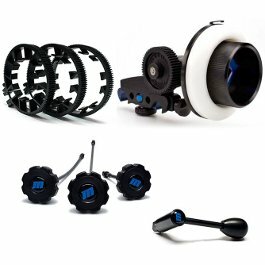 The Hotshoe Triple Mount Bracket provides three additional accessory shoes for mounting lights, monitors, microphones, or other accessories. The Hotshoe Triple Mount Bracket mounts onto a camera’s accessory shoe in order to provide three additional accessory shoes for mounting lights, monitors, microphones, or other accessories. 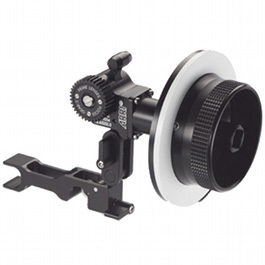 In addition to the shoe mount, a 1/4″-20 thread is also available for attaching the bracket to a tripod, rig, or other bracket featuring a 1/4″-20-threaded mount. The bracket is constructed from rigid, yet lightweight single-piece aluminium alloy, and the mounting shoes are machined out of the same piece as the bracket, for additional strength. 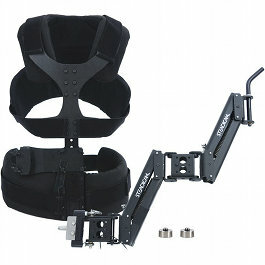 The accessory shoes also feature backstops for greater security when attaching accessories. The bottom shoe that attaches to the camera features a locking pin, which keeps the shoe in place and prevents the shoe from rotating during use. 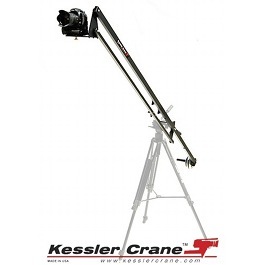 This V-Bracket’s width spans 4.1″ and has a tiered design for mounting up to three additional accessories. 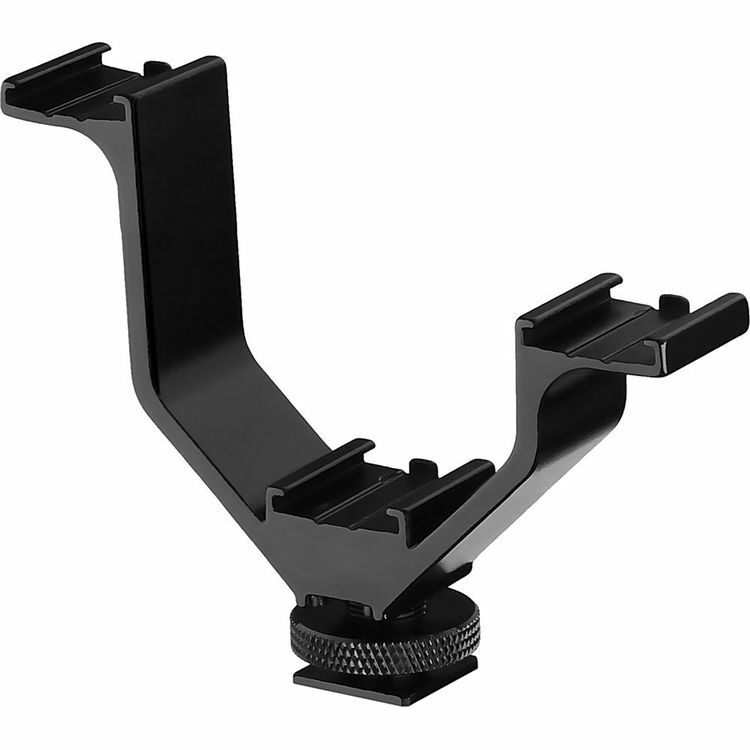 The bracket can attach directly to a camera via the accessory shoe or, additionally, it features a 1/4″-20 socket for attaching to threaded mounts such as a tripod. The bottom shoe that mounts on to the camera features a locking pin, which prevents the bracket from rotating.